CHENNAI: After taking electricity to remote villages in various corners of the country, IIT Madras is gearing up for a pan-India commercial launch of its solar-powered microgrid technology by this year-end. Microgrids are small power supply networks set up in remote villages, which obviate the massive investment needed to provide electricity to inaccessible and difficult terrains. This first-of-its-kind grid supplies direct current (DC), improves the energy efficiency of household appliances threefold, claimed its makers. The technology developed by IIT Madras also won the IEEE (Institution of Electrical and Electronics Engineers) Spectrum Technology in the Service of Society Award for 2017. The system has already been put in place in 4,000 off-grid homes in remote villages in Rajasthan’s Jodhpur, Assam’s Lakhimpur, Bihar’s Sasaram and some villages in Karnataka, Tamil Nadu, Orissa, Andhra Pradesh and Telangana. Its installation is under way in another 7,200 homes in several districts of Assam. 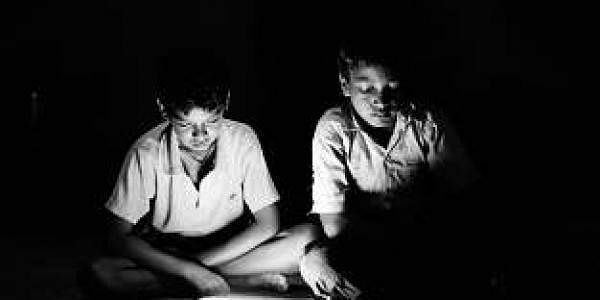 “So far, we did it in villages that are off-grid and never seen electricity in their life. Today, their homes are lit with LED lights, fans, TV, air-cooler and mixer. We took the initiative with government support, and now the time is ripe to extend the benefits of the technology to every household in the country,” said the IIT Madras director Bhaskar Ramamurthi on the sidelines of a recent event. IIT Madras is collaborating with 11 companies, including four starts-up incubated in-house, to evolve a distribution mechanism to ensure there is no logistics problem after commercial launch. Ramamurthi was confident that this solar-DC inverterless system will sweep the markets in the next five years, considering the huge economic benefits in terms of energy efficiency, safety and overall cost reduction. The institute has even written to the Ministry of New and Renewable Energy (MNRE) to officially recognise the technology as an alternative under Grid Connected Rooftop and Small Solar Power Plants Programme, the budget of which has been scaled up during the 12th Five Year Plan to `5,000 crore under National Solar Mission (NSM). “If MNRE recognises our technology, it will be a huge boost and the off-take will increase substantially. We are currently looking at where the demand exists. By the year end, we should be able to drive the markets,” said Krishna Vasudevan, professor, Department of Electrical Engineering. Already the review panel set up by MNRE and the Bureau of Standards has given a positive report on the solar-DC technology. “We are hoping that MNRE will officially recognise it as soon as possible,” he said.